Breakfast and budgets and beauty, oh my! To celebrate 2017 International Credit Union week, October 16-20, the Mountain West Credit Union Association (MWCUA) challenged its regional chapters to give back to their communities in a charitable way. The participating credit unions supplied breakfast, made donations to various charities, served refreshments in their branches, completed a beautification project and taught financial literacy classes, and partnered with Credit Unions 4 Kids on projects. charities. Those credit unions and chapters participating were: Public Service Credit Union (CO), Valley of the Sun (AZ) Chapter, Arizona Central Credit Union, Deer Valley Credit Union (AZ), Vantage West Credit Union (AZ), Alahambra Credit Union (AZ), Blue Federal Credit Union (CO & WY), Pima Federal Credit Union (AZ), Ent Credit Union (CO), Meridian Trust Federal Credit Union (WY), AEA Federal Credit Union (AZ), First Credit Union (AZ), and staff from the MWCUA Phoenix office. International Credit Union (ICU) Day® has been celebrated since 1948. It is recognized to reflect upon the credit union movement’s history and to promote its achievements. It is a time to honor those who have dedicated their lives to the movement, recognize the hard work of those working in the credit union industry and show members our appreciation. AEA Federal Credit Union made classroom presentations with United Way and helped Crossroad Missions with activities. Alhambra Credit Union donated 40 cases of water to Simpson Elementary School for its fall carnival. Arizona Central Credit Union donated to the New Isaac Family Resources Center. Blue Federal Credit Union taught a financial literacy class, sponsored movies in the park, helped a radio pledge drive, and provided harvest festival support. Deer Valley Credit Union combined ICUD with Phoenix Children’s Hospital’s” Shop for Miracles” one day CU4Kids fundraiser and all branches served cookies and refreshments to celebrate both events. 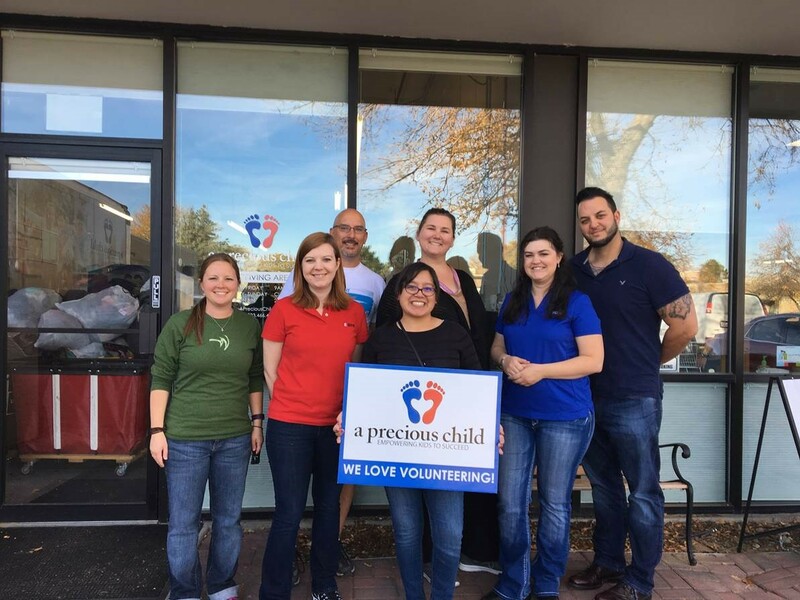 Ent Credit Union provided volunteers for A Precious Child, and Early Connection. They also made a donation to the United Way. First Credit Union made a donation to a local food pantry. Meridian Trust Federal Credit Union made donations to help treat childhood cancer, as well as donations to individual charities. MWCUA (Phoenix) provided the Joshua Tree Feeding Program with hygiene kit items. Pima Federal Credit Union donated to a local diaper bank and donated 200 children’s books. Public Service Credit Union Public Service was the Foundation breakfast sponsor for Thompson Education Foundation. Valley of the Sun Chapter collected items and donated to a local food pantry. Vantage West Credit Union taught a budgeting class with local organization, participated in the United Days of Caring beautification project with Emerge, donated preschool & kindergarten books to replenish their library, and participated in walks with the Make-a-Wish Foundation and a local Alzheimer’s organization. Each credit union expressed thankfulness in their ability to participate in the events. It was a true testament to the credit union philosophy of “People Helping People” and engaging in the communities they serve.